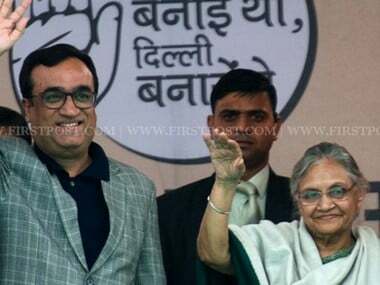 The spat between former Delhi Congress chief Ajay Maken and current chief Sheila Dikshit over alliance with the Aam Admi Party (AAP) is the recent political drama to unfold before 2019 Lok Sabha polls with the lesson being that politics is a strange game where leaders change their stances with a change in their fortunes. Maken and Dikshit seem to have swapped their roles on the issue of alliance with AAP and are now seen sparring with each other over their new found zeal. Maken, who strongly opposed any alliance with AAP when he was the head of Delhi Congress, is now backing an in-party survey seeking views from party workers on whether or not to ally with AAP in the upcoming polls. What is even more interesting is that both the leaders are now placing themselves against each other in a full-blown spar in the media over the issue. The survey touted as an order by Rahul Gandhi is initiated by party in-charge for Delhi affairs PC Chacko and over 40,000 workers have participated in it as per a report by Times of India. Maken, however, has opposed Dikshit's stance on the survey. “This is Rahul Gandhi’s decision. If anyone in the Congress is questioning the decision of Rahulji, I think it is wrong,” he said. The public sparring between the two leaders has come as a surprise for many, as both the leaders were seen as having completely opposite views on the subject till a few months back. In fact, it was widely believed that Maken’s strong stance against the alliance was the reason behind his exit as the head of the Delhi Pradesh Congress Committee. Earlier, a staunch critic of AAP, Maken had questioned AAP's offer to ally for the Lok Sabha seats in Delhi. "When the people of Delhi are continuously rejecting Kejriwal Govt, why should we (Congress) come to their rescue?” he had said. He had also said that the Congress leaders and workers do not want any alliance with the AAP and hence there is no question of it. 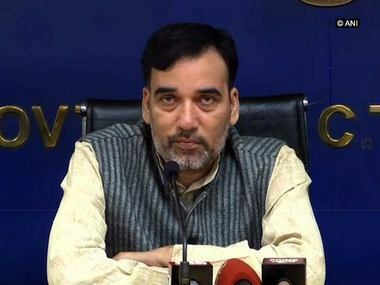 In January 2019, Maken was replaced by Dikshit who is understood to be softer on her views about an alliance with the AAP. Soon after taking over as the Delhi Congress chief, Dikshit had told Firstpost in an exclusive interview hinting that she is open to alliance with the AAP. "In politics, we cannot predict what will happen after two months or even after two weeks. Decisions are taken keeping tab with new developments in the field,” she had said. Now, both the leaders have gone for role reversal. News about spat between both the leaders in party meetings over the issue of alliance with the AAP has been coming in bits and pieces. Dikshit’s opposition to the alliance came to the forefront when, she, after two hour long discussion with Rahul announced in the media that there would be no alliance with the AAP. After being snubbed by Rahul, AAP convener Arvind Kejriwal alleged that the Congress and the BJP have a secret understanding. "At a time when the whole country wants to defeat (Narendra) Modi-(Amit) Shah duo, Cong is helping BJP by splitting anti-BJP vote. Rumours are that Congress has some secret understanding with BJP. Delhi is ready to fight against Congress-BJP alliance. People will defeat this unholy alliance,” a perturbed Kejriwal had tweeted after Dikshit had made the announcement. 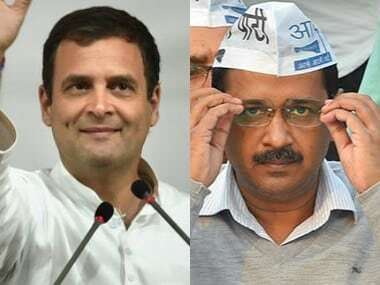 Kejriwal’s criticism of the Congress seems to be guided by genuine fear that BJP may win all the seven Lok Sabha seats in Delhi without an alliance between the Congress and AAP in place. AAP had won a historic mandate in the 2015 Assembly election in Delhi with 54.3 percent of the vote share. The BJP had garnered 32.2 percent of the votes while the Congress had received merely 9.7 percent votes. Before AAP emerged as a key player in Delhi politics in 2013, the contest in the national capital was mostly limited to the BJP and Congress. In the 2008 Assembly polls, the Congress formed government after winning the election with 40.3 percent of the votes while the BJP had received 36.34 percent votes. Looking at these figures, it is evident that most of AAP's vote bank came from the Congress pool in 2015. Though Congress had gradually revived itself in the national capital's politics since then, AAP's vote share began to reverse rapidly. This reverse trend was clearly visible in the 2017 election for the Municipal Corporation of Delhi, when AAP won a disastrous 26 percent of the votes and the Congress received 21 percent votes. BJP swept the polls with 36 percent of the vote share. It is no wonder that AAP made repeated attempts to secure a pre-poll alliance with the Congress. Though the AAP's angst over the Congress party’s reluctance to ally with it is understandable, it has also to be kept in mind that Congress had a not so memorable experience of forming an alliance with the AAP in 2013. After the 2013 Delhi Assembly election, AAP had formed the government in alliance with Congress in Delhi. But soon after the government was formed, incessant bickering followed between both the parties. After functioning for 49 days the Kejriwal-led government resigned. 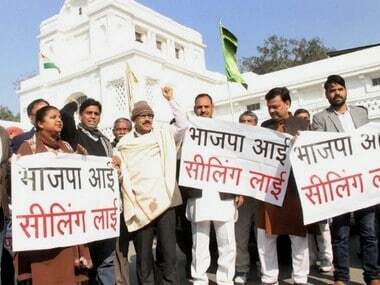 In the next Assembly election, Congress presence in the Delhi Assembly was decimated to zero. Delhi is going for Assembly elections again either by the end of this year or early next year. Sheila Dikshit as the state Congress chief, stands a chance to reclaim the chief minister’s office if her party gains majority. Perhaps, her opposition to forming an alliance with AAP is a pre-emptive action to prevent a repeat of the 2015 disaster.